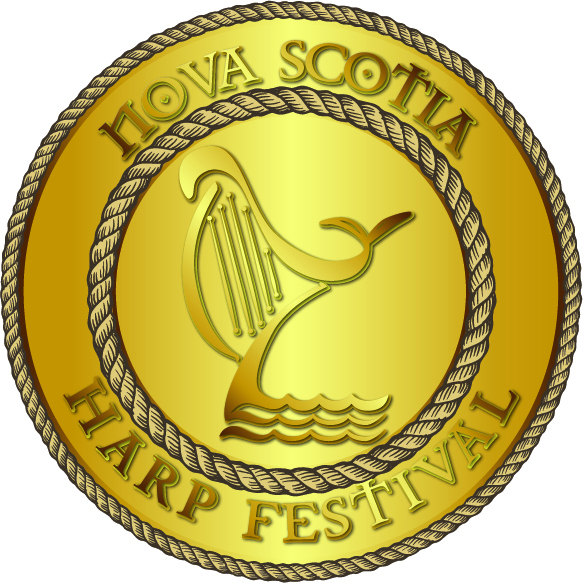 Nova Scotia Harp Festival – 2019 stay tuned !!! Make a Difference and Buy a Gift !! Give the gift of an annual membership to the Nova Scotia Harp Association to someone who wants to be involved in the future development of the harp in Nova Scotia. $20. individual or $30. family. Just print the form below to give to your recipient. Price reduction and preferred seating at events. E-newsletter to keep track of activities. Direct input into the goings-on of the harp community. Invitation to all general meetings. First dibs on merchandise. ART Cards $5. ea. 3@$10. 5@$15. 10@$25. Here are 2 of the aprons done by Say it With Stitches. Order if you would like one that’s sold out. Both styles have nice big pockets !! The lime is longer and the pocket goes across the front. We love our aprons !! To support and donate to our Nova Scotia Harp Association non-profit society #3311848, your cash, cheque or bank e-transfer to novascotiaharp@gmail.com (RBC Nova Scotia Harp Association) will be appreciated. A tax receipt will be issued for all donations $10. and above.